NAI Alliance | Commercial Real Estate Blog For Reno, Sparks, Carson, Minden and Northeast Nevada: Market Activity- Where are all the big industrial property deals? Market Activity- Where are all the big industrial property deals? 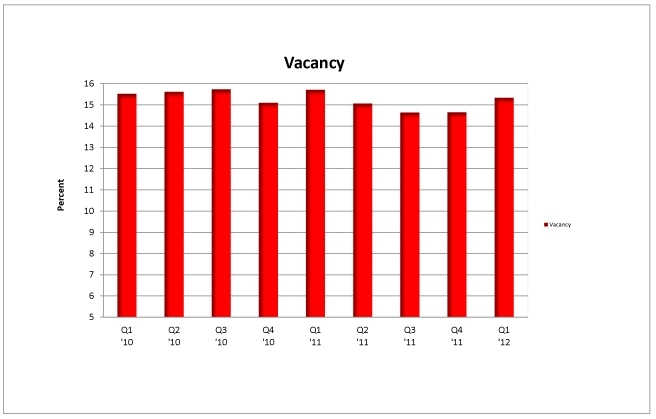 There were 39 deals 5000sf or greater in industrial space during the quarter which is in line with an average quarter. What lacked this quarter were large industrial leases making an impact on absorption. We are still in search of a 100,000sf deal thus far in 2012. Whereas the average deal size over the prior three quarters was 41,205sf, this quarter has seen 20,459sf for total gross absorption of 797,897sf (down 43.2% from the prior quarter). The five largest industrial deals of the quarter were Thrift Books (77,000sf), Wesco’s expansion (67,936sf), National Business Furniture (48,000sf), Patterson Pacific’s expansion (45,100sf) and Webgistics (40,320sf). Positive net absorption in 2011 led us to believe that companies had already downsized/right-sized during 2009 and 2010 and giving the impression 2012 would be another year of positive activity for the Reno/Sparks Industrial Market. To counter the new activity, closures or downsizing announcements from Warehouse Services (224,000sf), Ryder Logistics (130,000sf added to their sublease space), Western America (100,000sf), Hopkins Distribution (100,000sf), Insite Logistics (60,000sf) as well as others show that tenants are not finished giving up space. These actions led to negative net absorption of 499,662sf for the quarter despite three prior quarters of positive net absorption and dropping vacancy. We’d like to say Q1 of 2012 was an abnormality and that the industrial real estate market is poised to bounce back in the second quarter but there are three more possible announcements of large scale downsizing to come. To offset any new closures, there are three large deals pending and a number of other hopeful transactions set to sign in Q2. Current activity is brisk so hopefully the closures will be differed to other quarters or are outpaced by a slew of industrial users committing to our area. The jury is still out on whether Q2 will be an increase in potential energy for our roller coaster industrial market or a brief leveling out of the ride. Commercial Rentals- How low can the rates go?